Having and maintaining a balanced life are important. In a previous article about 8 ways to overcome the fear of success, maintaining a balanced life is an essential part of achieving the success you have always wanted. It helps you get to the level you want to be without sacrificing other parts of your life. Living a balanced life is not as difficult as many of you may think either. At the same time, it’s so much more than just dividing your time for the different parts of your life. 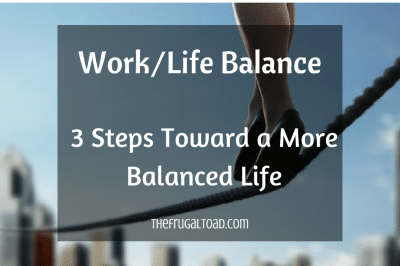 To help you lead a more balanced life, here are three steps you can take to get started. Life can be very challenging, but challenges can help you stay motivated and driven. Adding the right amount of challenges into your life is a great way to keep yourself focused on your goals. It is also a great way to improve your endurance while picking up new skills and learning new things. After all, solving the challenges you face is a great way to acquire wisdom and a better point of view. If you’re too busy at work or you spend most of your time at home, consider going back to school. The experiences you get from taking an online course can really transform your everyday routines. Do you know that social interactions help your brain stay active and capable? Studies have revealed that spending time with both friends and strangers can help the brain expand its capacity at a faster rate. As a result, you’ll be much sharper and more capable of solving problems and processing information. Social interactions also help with emotional health. You have to be selective when it comes to choosing the friends you spend time with the most, but you should feel better after most – if not all – of your social interactions. Don’t forget to spend time with family, too. If you’re married with kids, try to spend an hour or two every day with loved ones to give you a boost of positive energy. It won’t take long before you start getting overwhelmed with all the things you have to do to become successful. Instead of trying to do everything yourself, learn to prioritize your tasks and delegate. You have others ready to help you whether you’re working at the office or running a business. Construct a strong team around you and you’ll find maintaining a balanced life so much easier to do. More importantly, learn to trust those who are supporting you, day in and day out. Living a balanced life doesn’t mean abandoning your dreams; it doesn’t prevent you from becoming as successful as you want to be. It simply allows you to enjoy every part of the process and have fun as you strive to achieve your goals. 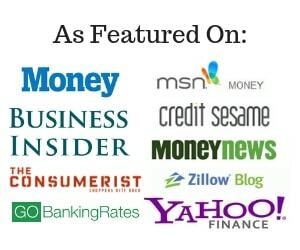 Buy, Lease, or Subscribe: Which Auto Option is Best Suited to Your Needs? Thanks for the reminder that we need to take a break from work to focus a bit more on the stuff that matters … cheers!